Learn more about 4 Paws for Ability and how you can support them here. I love the simplicity of the classic camp stool. 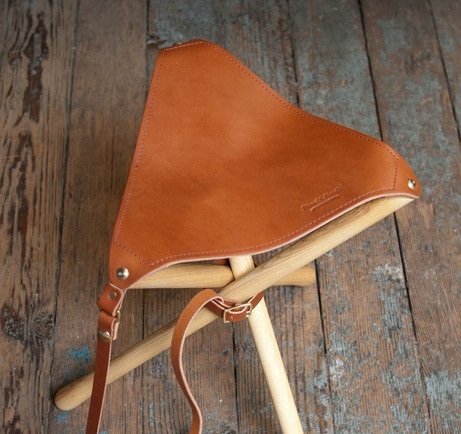 The best stools are made by hand with a few sticks and some canvas for the seat. But if you want to go full on luxury – I guarantee you can’t do better than the Wood & Faulk Official Camp Stool I found from the fine folks at Wolves Within. See all the great products from Wolves Within here. I love making bread but not really from scratch. My bread baking machine is one of my most used kitchen appliances and I will try any shortcut to bake bread fresh at home. 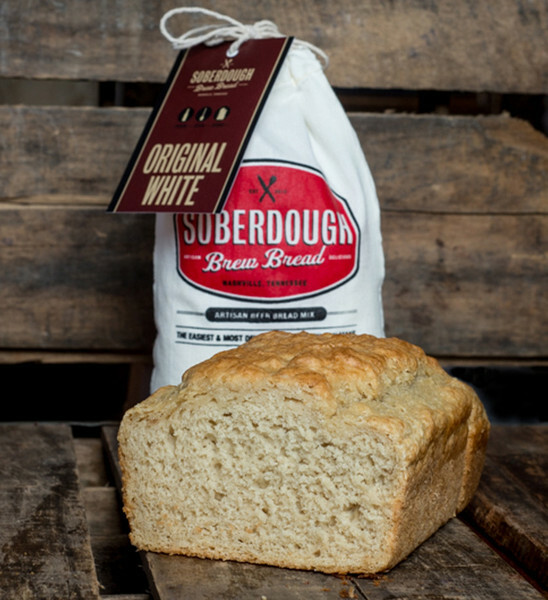 Occasionally I find a mix that I just need to rave about – as is the case with the Classic Sourdough Bread mix I found from the fine folks at Nashville-based Soberdough Brew Bread. 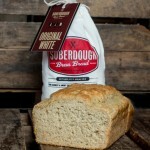 Learn more about Soberdough Brew Bread and see all their fine products here. When I am a house guest at my dear friend Lynda’s house I feel right at home. She is a great hostess and I love staying in her charming home. One of my favorite things about staying at her house is how perfectly curated her guest room is. There are always freshly cut flowers on the bureau and a stack of specially picked books on the nightstand. Also on the nightstand is a wonderful water carafe and glass set – which is the perfect bedside accessory for any guest room and I love it. I have been on the search for my own bedside water set to bring a little of Lynda’s charm into my own home. 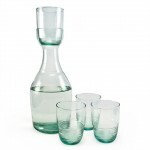 I think I may be close now that I found the Aspen Carafe and Tumblers from Bambeco. 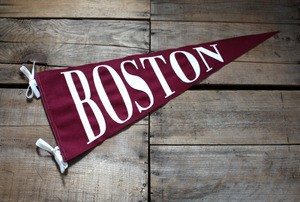 See all the fine “sustainable living” products of Bambeco here. My admiration for Winston Churchill is well documented in my posts here over the years. I have talked about visiting various Churchill-related sites and landmarks on my visits to London, a visit the Churchill Museum in Missouri, and the many books I have read on the man. 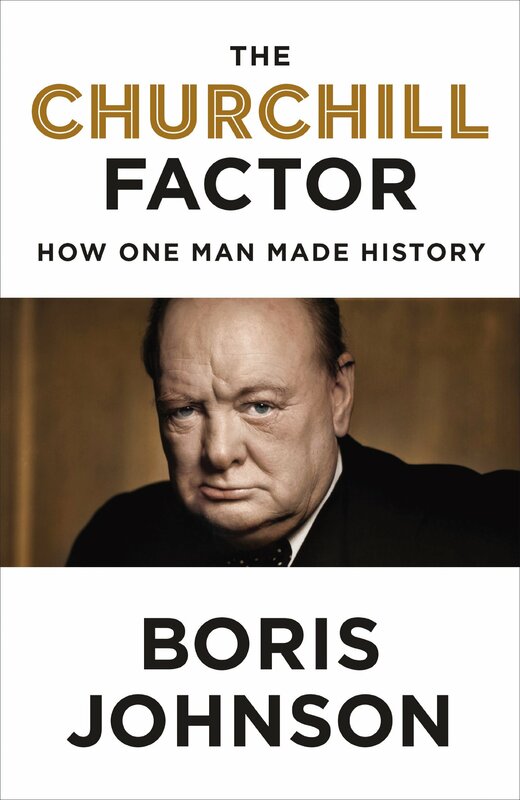 Now comes a new book about Churchill, The Churchill Factor: How One Man Made History by the charismatic mayor of London, Boris Johnson. There are more books about Churchill than just about any other subject from the 20th century and I thought that maybe I was not up for reading another one. However, I was intrigued by how someone like Mayor Johnson would present his subject as a leading politician in the land that Churchill ruled and arguably saved. My curiosity paid off as Mr. Johnson does indeed present us with a view of the great man from his unique perspective. One of the most fascinating things about Churchill that comes out in this book, is how much he accomplished in his life. He managed to do all the things we know about – like being Prime Minister during World War II – and managed to publish scores of books and other treatises at the same time. Likewise, I am amazed that Mr. Johnson can run one of the world’s greatest cities in the world and still find the time to write a book like this – and I don’t seem to be able to find the time to change my sheets. 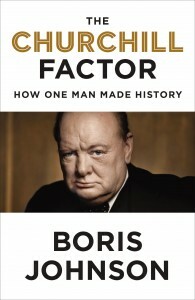 The Churchill Factor: How One Man Made History by Boris Johnson is available from Amazon and other fine booksellers. FOUND: The vintage-inspired baseball items from the Huntington Baseball Co. Although much of the nation is covered in a lot snow, the thought of spring is in the air as baseball’s spring training is only a few weeks away. I love baseball and can’t wait for the season to start. 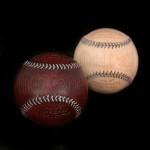 In the meantime, I am really geeking out on some vintage baseball-inspired items I found from the fine folks at the Huntington Baseball Co.
…and their like their signature vegetable tanned leather baseballs. Learn more about the Huntington Baseball Co. here. Shop the fine products of the Huntington Baseball Co. here. One of the great trends in the fine spirits world these days is all the great small batch and artisan distilleries that are producing great bourbons and whiskeys all over the country – like McCarthy’s Oregon Single Malt Whiskey from Portland, OR-based Clear Creek Distillery. From where I sit (in relatively mild Kansas City) I think a nice bottle of whiskey like this is the perfect antidote to the big blizzard facing all my friends back in New England. Cheers and be safe y’all! 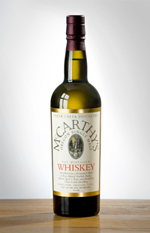 Learn more about McCarthy’s Oregon Single Malt Whiskey and find a distributor near you here. Learn more about Clear Creek Distillery here. I found the perfect treat to make on a Sunday afternoon in winter – this recipe for bourbon balls I found from Garden & Gun magazine. Bourbon Balls are a Southern Classic and Garden & Gun’s recipe comes from Rhonda Ruckman, executive pastry chef of Herbsaint, Cochon Butcher, Calcasieu, and Pêche in New Orleans. 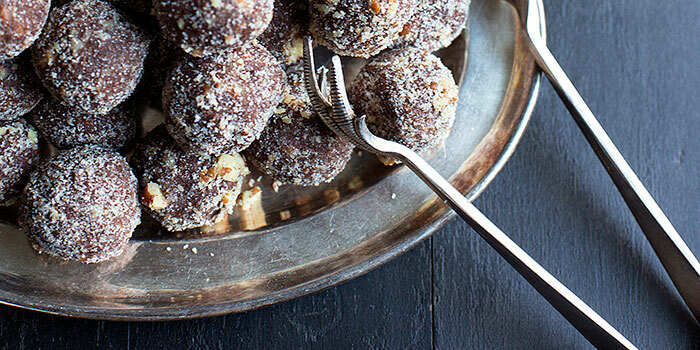 These bourbon balls are sure to please just about anyone in your life and you may be tempted to bring a tray of them to your favorite seaside stationery store proprietor. 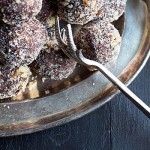 Find the recipe for Bourbon Balls from Garden & Gun here. Find all the awesomeness that is Garden & Gun magazine here. Winter is in full swing for most of the US with cold weather and snow in the forecast. I can’t think of a better way than spending a cold winter’s night than by sitting near the fireplace drinking whiskey and making s’mores. 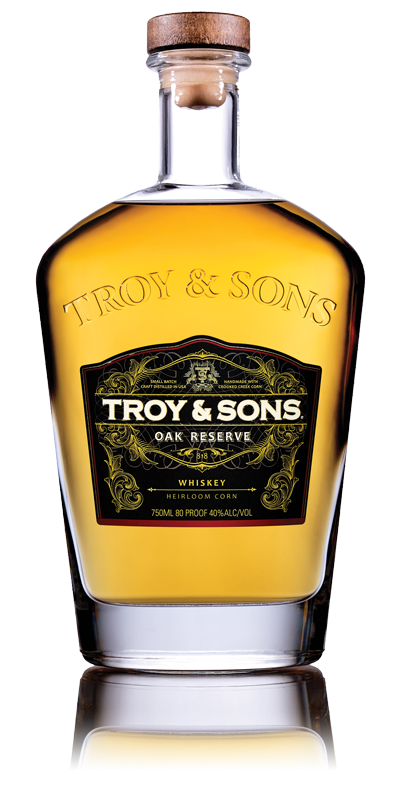 The fine folks at the Ashville Distilling Company call their Troy & Sons Oak Reserve “America’s Finest Aged Moonshine Whiskey.” Who am I to disagree? 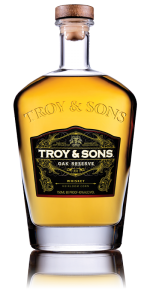 Learn more about Troy & Sons Oak Reserve here. Visit the Ashville Distilling Company online here. OK, everybody likes making s’mores even if they don’t like eating them. 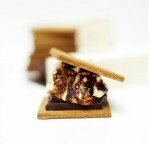 If you are like me, you are on a lifelong quest to make that elusive perfect s’more. Well, the fine folks at from Hot Cakes Molten Chocolate Cakery have at least made the gathering of quality ingredients easier with their S’mores Kit. Find the Smoked Chocolate Chips from Hot Cakes Molten Chocolate Cakery here. Learn more about Hot Cakes Molten Chocolate Cakery here. I love soup! I guess that is not surprise to my loyal Lost Cowboy readers as I have featured many soup recipes over the years. There is nothing like making a nice soup on a chilly day. However, sometimes I don’t want to do all the work. When this happens I turn to my favorite soup mix – the Vegetable Soup Mix from Bob’s Red Mill. 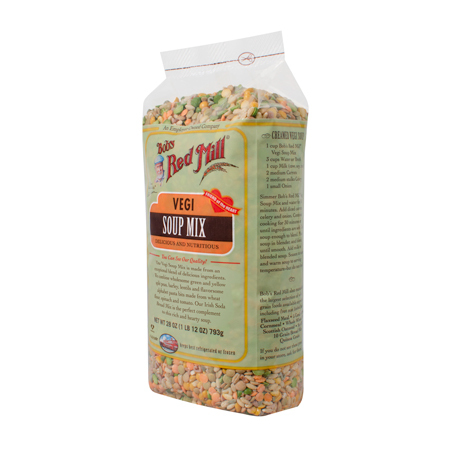 Bob’s Red Mill’s Vegetable Soup Mix is super easy to make and is absolutely delicious. I make the soup using chicken stock instead of the water the directions call for and it makes for a nice hearty soup. This soup is best when made fresh – but I have made large batches and put meal-sized portions in the freezer and it comes back to life really well. 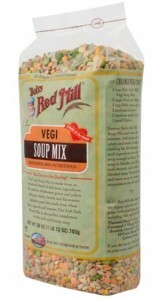 I am a big fan Bob’s Red Mill’s products and the Vegetable Soup Mix is right up there. Learn more about Bob’s Red Mill here. Christmas is long past now, but there is still plenty of reasons to roast chestnuts – the perfect pastime for a winter’s night by the fire. I just love the smell of roasting chestnuts and have often just placed a few on the fire or on top of the hot wood stove just to get the aroma. 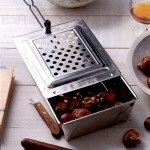 But there is a better way to roast chestnuts – with the Signature Chestnut Roaster from Jacob Bromwell. See all the cool products – signature and otherwise – of Jacob Bromwell here. Lost Cowboy is powered by	WordPress 5.0.4 and delivered to you in 1.790 seconds using 58 queries.